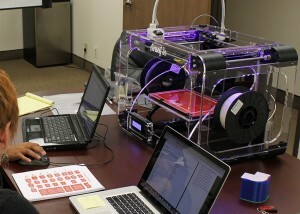 Did you know Airwolf 3D offers a 3D printing workshop for beginners? With a few quick clips, Airwolf 3D engineer Cameron Williams readies ABS filament before feeding it into the extruder of the HD2X 3D printer. A group of hearing aid designers watch intently, peppering his lecture with questions regarding filament widths and heat settings. 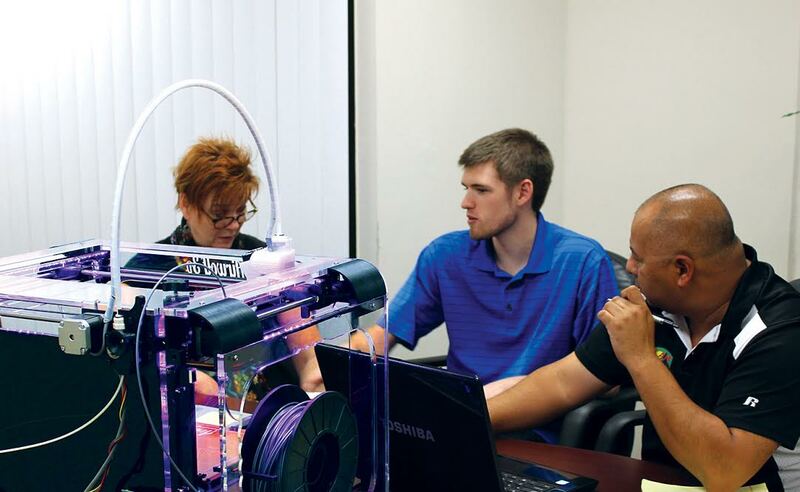 They have traveled 180 miles to attend this 3D printing workshop for beginners, a service provided by Airwolf 3D, free with purchase. Training is an intimate, fully interactive experience at Airwolf 3D. Clients go through each step of the set up process from unpacking the unit to uploading design software. “You have direct face-to-face interaction where you can ask any question you want and we have an answer for you,” Williams says. With class sizes limited to two, clients are able to get hands-on experience with the exact printer they will be using before they take it home. Airwolf 3D offers complementary shuttle service from John Wayne airport in Orange County. Clients can arrange to be picked up at the airport and later dropped off with their 3D printer, carefully packaged and ready for travel. For more information on training sessions at Airwolf 3D, please email info@airwolf3d.com. Announcing the New 3D Printer Cart from Airwolf 3D!